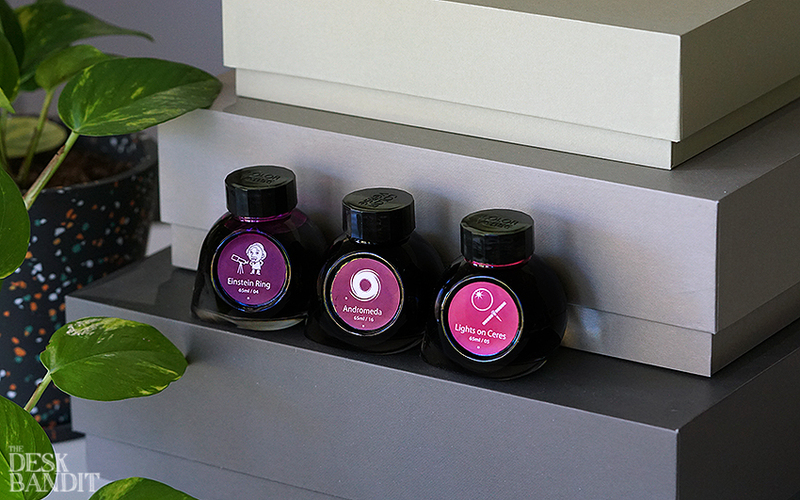 Colorverse inks have taken the fountain pen ink community by storm in recent months. With its uniquely shaped bottles and great packaging, it’s easy to see why they’re doing so well. There are a total of 28 colours in the range spanning across 3 ‘seasons’- Spaceward (Season 1), Astrophysics (Season 2) and Multiverse (Season 3). All ink colours come packaged in a 65ml and 15ml mini bottle set, but the Multiverse (Season 3) sets differ by having 2 different shades instead. Ever since Lamy introduced (and then swiftly took it away) Dark Lilac, the hunt for a dupe has been never ending. It does not help that as a colour by itself, the deep plum shade is beautiful. Dark enough for a more serious setting, yet also colourful enough to bring some whimsy to every day writing. Spoiler alert, there are no Dark Lilac dupes to be had here. BUT! 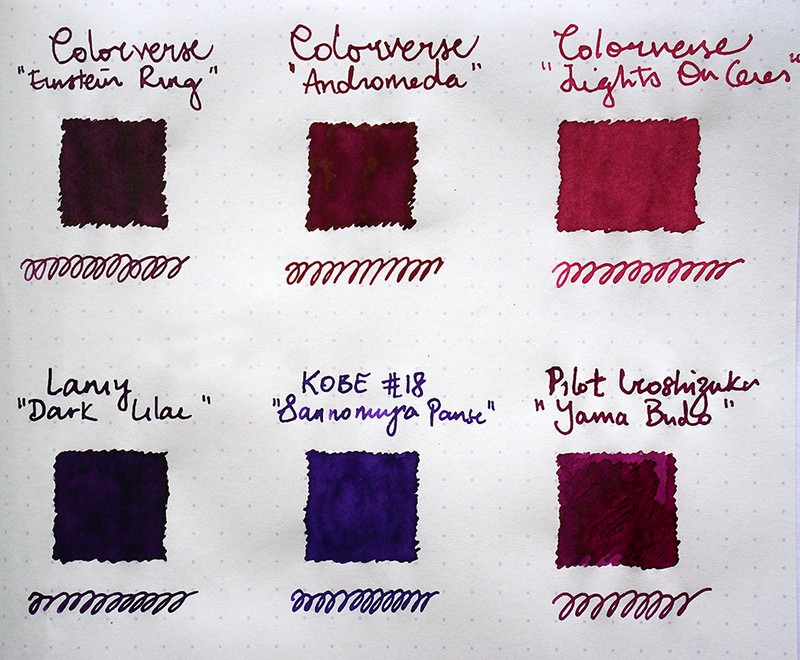 There are lots of beautiful inks that are in this comparison. All ink tests were done on 52gsm Tomoe River Paper. 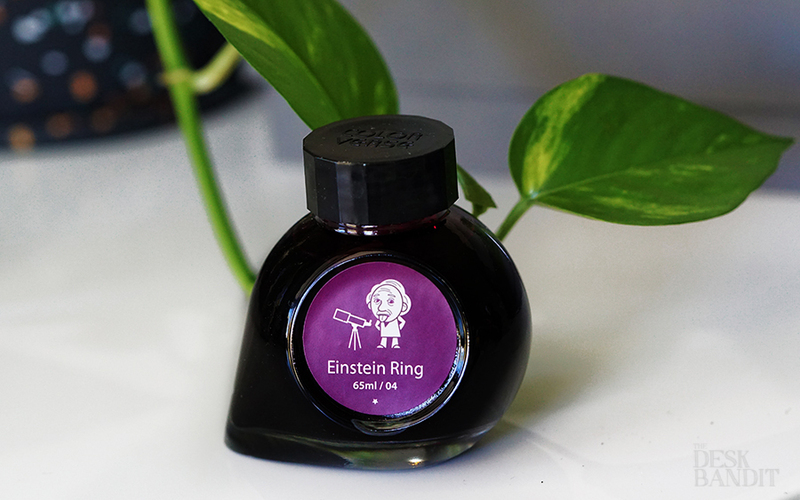 For those after a dark plum for everyday use, look no further than Einstein Ring. On much thinner nibs, the plum may lean towards black in some light, so if that bothers you then Andromeda might be the better option. 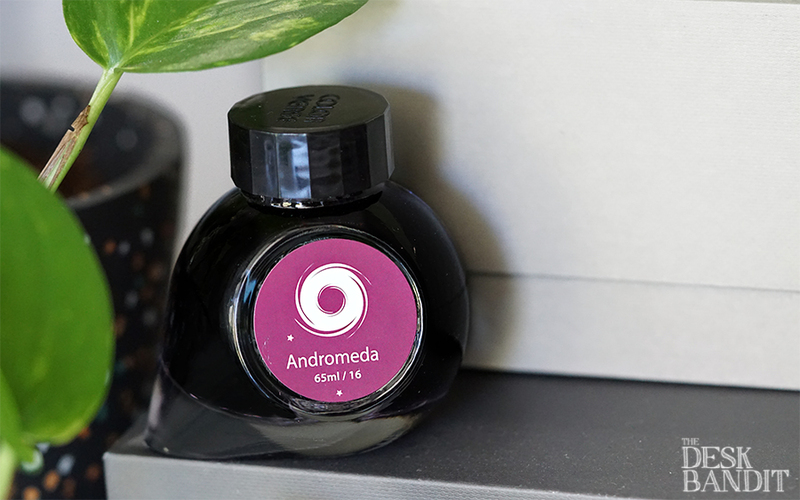 Fans of Pilot’s Yama Budo will find Andromeda to be a warmer alternative. 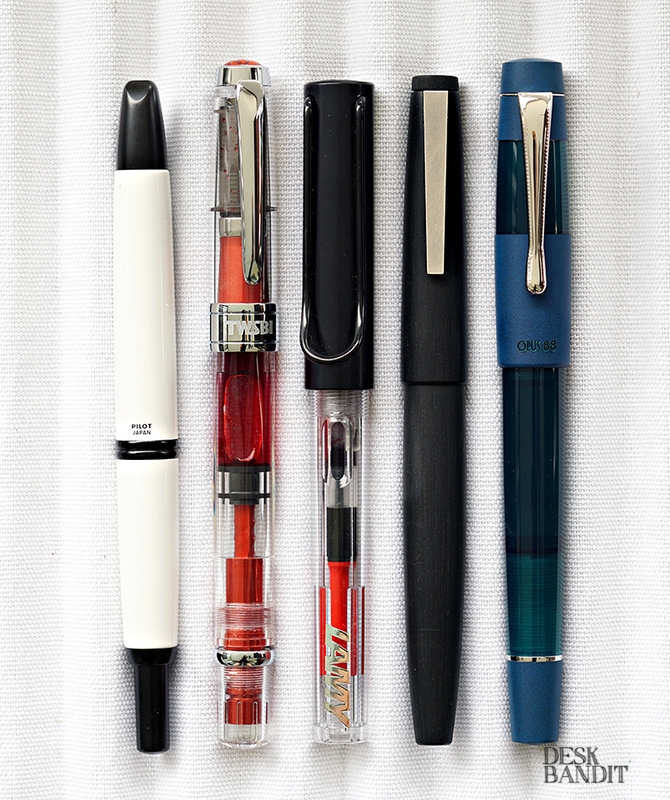 No sheen to be had from any of these. Unless you are collecting the lot, Einstein Ring and Andromeda could be too similar for you to come off feeling like you spent money on two very different inks colours. 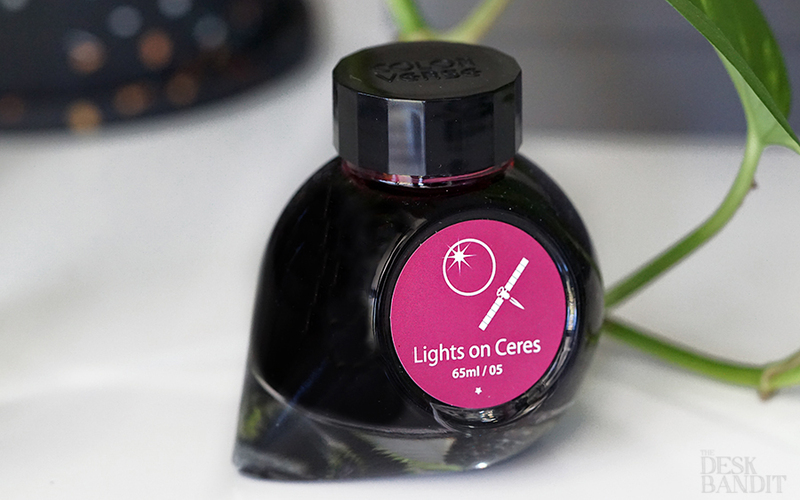 Lights On Ceres manages to be a great shade of red without being blinding or intrusive. It’s a good red to have in the arsenal without it screaming back at you from the paper. Colorverse inks retail for A$45 for 80ml, split between a 65ml glass bottle and a 15ml mini bottle. At $0.56 per ml, Colorverse actually beats out Pilot Iroshizuku inks ($0.60 per ml). 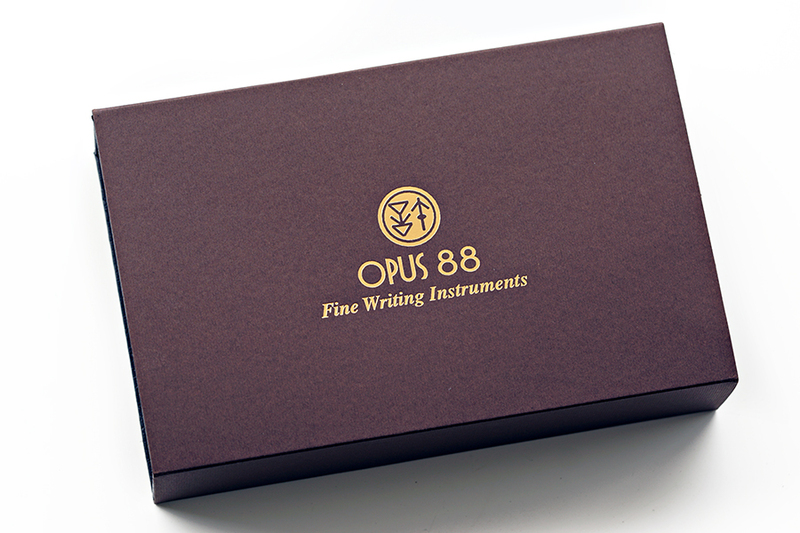 Taiwanese pen manufacturer Opus 88 is no stranger to the world of writing instruments. The man behind the brand, Michael Hsu, has decades of experience under his belt and OEMs for many other brands over his career. 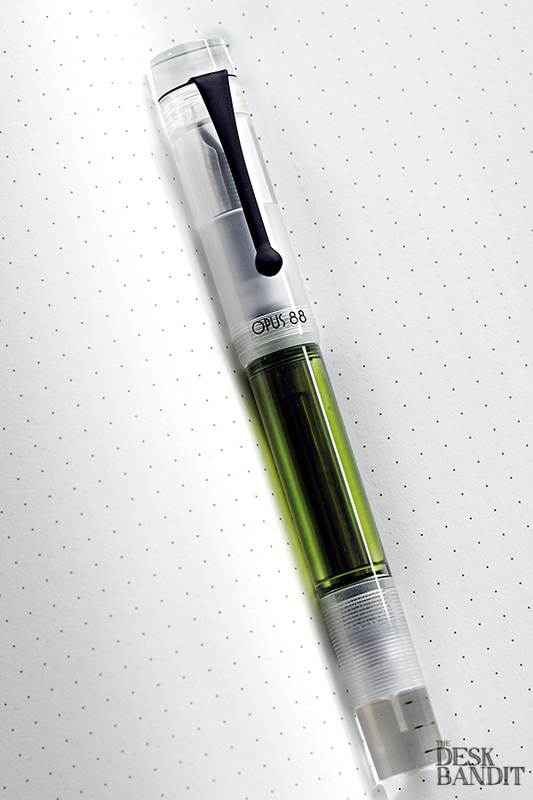 The Opus 88 Koloro is a part of his own private label, and was created because there wasn’t a truly affordable Japanese-style eyedropper pen on the market. 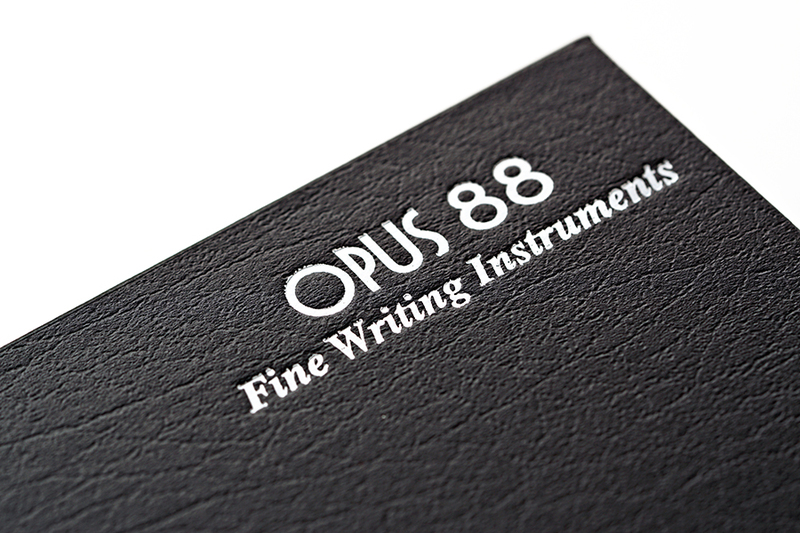 Opus 88 has spent years OEM-ing eyedropper systems for many brands (though for contractual reasons, they are not allowed to disclose specific names). This mechanism is usually reserved for higher end collections like the Maki-e, and comes with a 4 or 5 figure price tag. Certainly not in the reach of affordability for the average Joe. 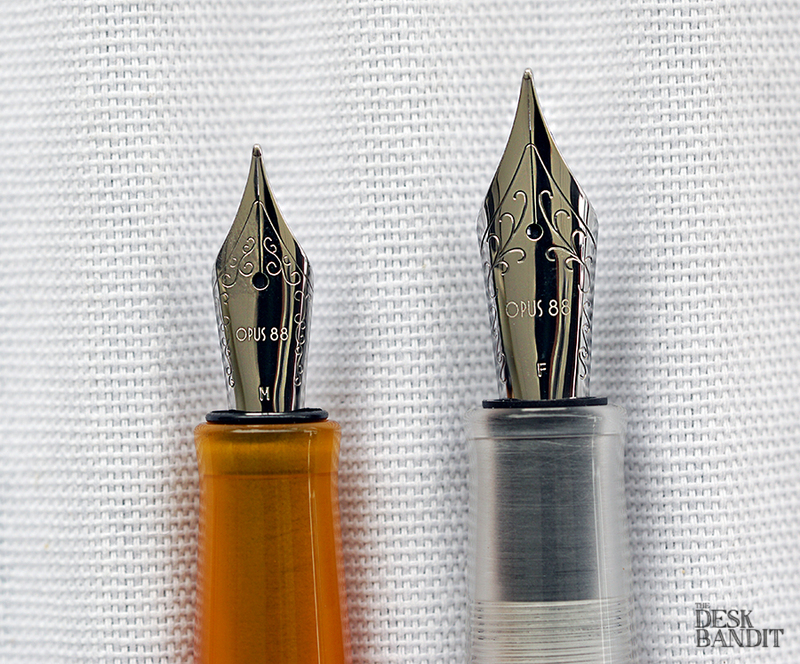 There are technically 2 versions of the Koloro due to the variation in nib sizes. 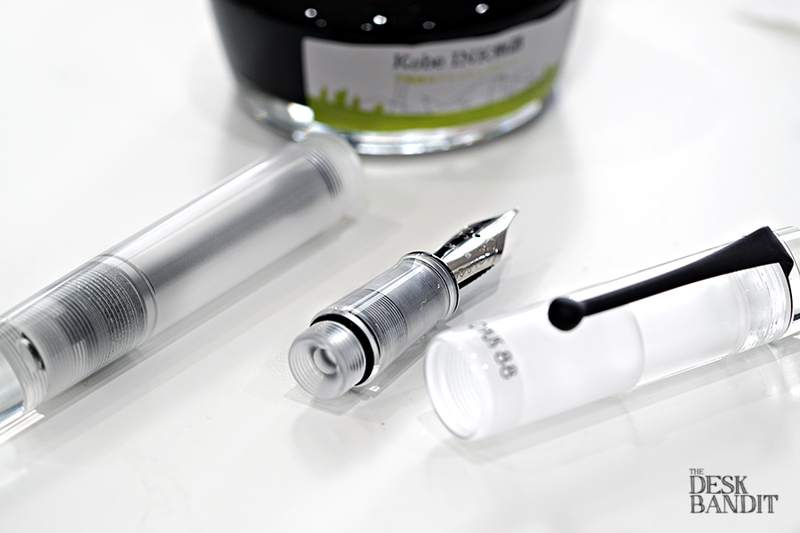 The Koloro demonstrator houses a #6 nib instead of the #5 nib found in the coloured models. The demonstrator also does not have ebonite included in its body, only acrylic. The pen comes in a black magnetic-closure cardboard box with an outer sleeve. 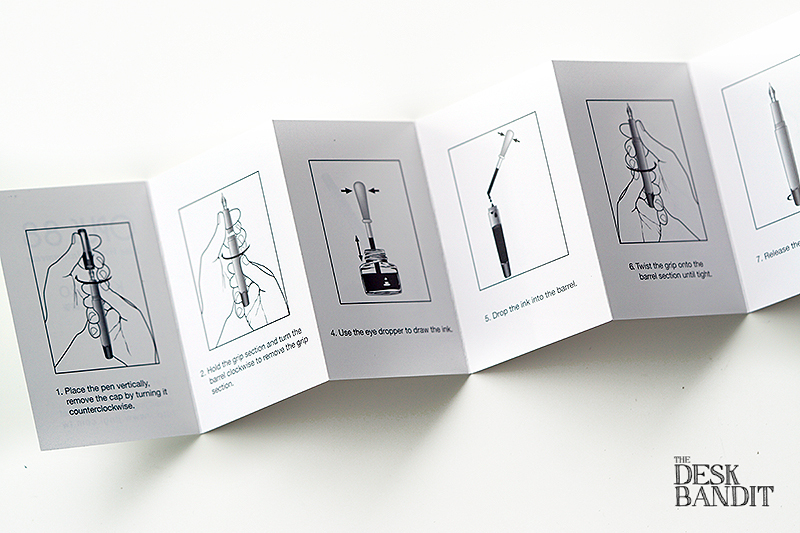 Accompanying each set is an eyedropper tool for the user to load ink with and a set of operating instructions. 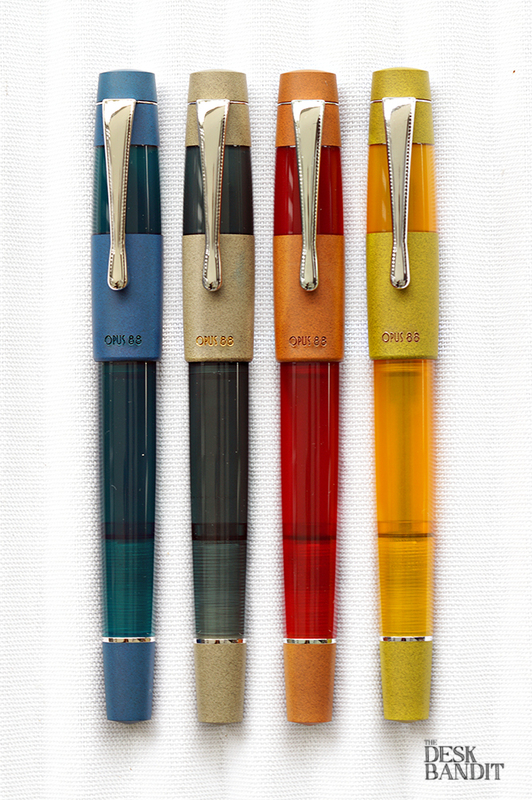 The Koloro comes in 4 colours and a demonstrator (clear). Now, what the exact colour names are, seems to vary from person to person. The red model has been referred to as red, cinnabar red or red-red. For simplicity’s sake, the colours mentioned here will be red, blue, green, orange/yellow and demonstrator since that was what the invoice listed them as. The materials used in the construction of the pen’s body are a combination of ebonite and acrylic. Ebonite (or Vulcanite) these days form the base for Maki-e works, so it comes as a nice surprise to see it being used here. Getting the two to work together was no easy feat as well, taking the company months of revisions to get it right. The green model has tinges of teal, and the ebonite section on the orange-yellow model leans a little to olive in some lighting. 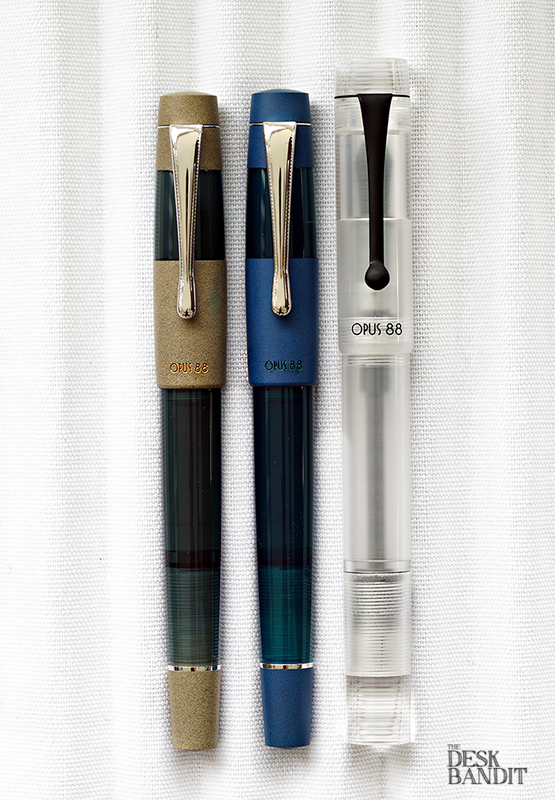 Both versions feature a branded German nib (Jowo), with the coloured models having a #5 nib and the demonstrator a #6. It also has a dedicated shutoff valve and central rod mechanism. The screw-on cap takes about 3.5 turns to unscrew, so probably not the best pen for on-the-fly note taking. The shutoff valve unit is a mechanism traditionally found in Japanese eyedroppered urushi pens. 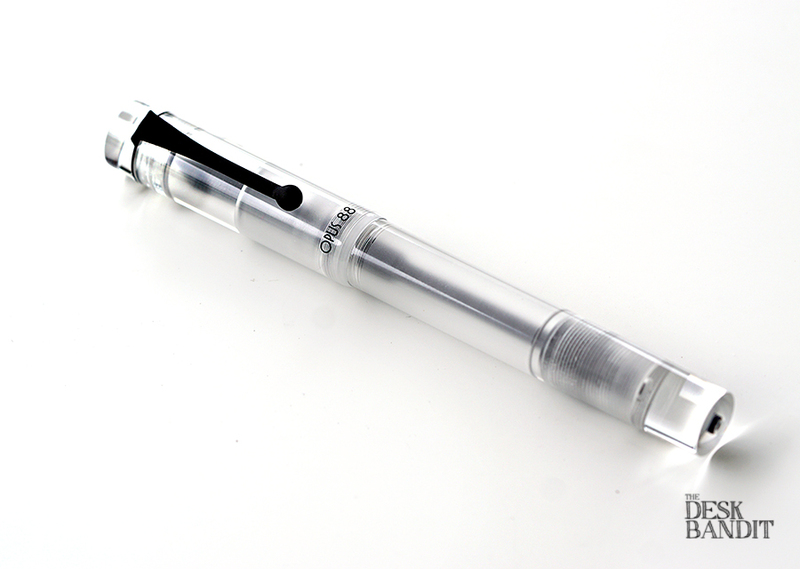 It closes off the ink reservoir chamber to prevent unwanted leakage, making this pen a good one to take on airplanes. 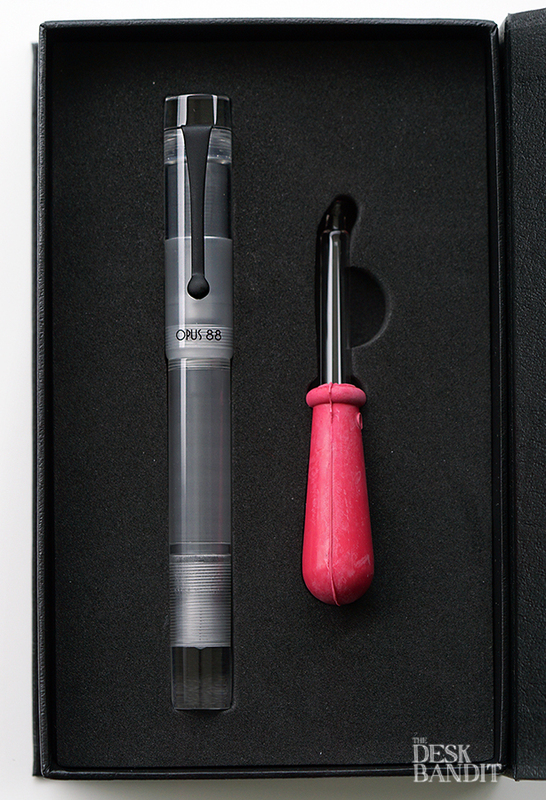 To fill, simply twist the barrel open and use either the included eyedropper or a blunt tip syringe to load up your choice of ink. Both pens have an O-ring so be careful not to lose it! 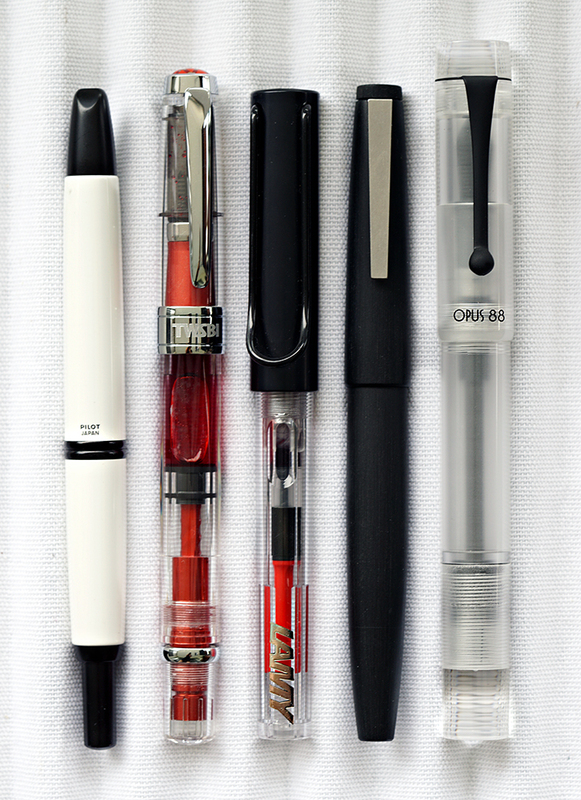 The demonstrator model overall is a slightly larger pen compared to the coloured ones. For aesthetic and weight balance, a larger #6 nib is used. German nibs generally write one step up from their Japanese counterparts. So it comes at no surprise the Koloro fine nib writes subtly wider than Pilot’s fine nib. The Koloro definitely delivers what it promises for the price. There were no burping issues nor leakage when we let it roll around in our bag as we ran errands (okay, we stored it in a ziplock bag just in case). Mind you, there was no greasing of the threads involved. There’s no need to do so with the Koloro. The 4-coloured Koloros retail for U$93/A$120, while the demonstrator model retails for U$120/A$155. 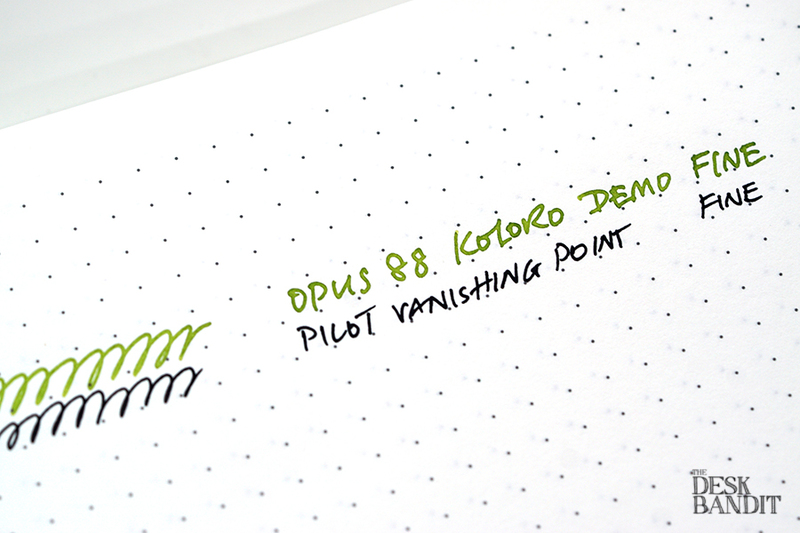 The Opus 88 Koloro pens can be purchased from our online store here.